FANCY curtains, super soft couches, colorful wall paint, modern kitchen, and spacious bedrooms are thoughts that may come to our mind about a good house, a blessing alhamdulilah. But for it to be a home and an abode of tranquility and serenity, it takes more than just bricks and cement; it takes a family to make a home. Family is the building block of society. If the families of the ummah are strong, the ummah is strong. We are experiencing a sharp decline in the number of families in the world today. It’s sad. It’s scary. I was recently skimming through a news portal and read a really depressing report: An aged couple called 999 because they were feeling extremely lonely. Large portions of the elderly’s children live more than an hour’s drive from their aging parents. Over 80% of children who have moved away have done so due to the job market, which makes it hard for them to visit parents regularly. Today’s lifestyle does not permit for spending time with senior family members. Studies have shown that parents whose children do not visit at least twice a month suffer greater loneliness than those who do see their children more often. Additionally, older people who live alone have less face-to-face contact than those who live with a spouse. Adding to loneliness is the fact that aging inhibits mobility, therefore, the elderly tend to see less and less of their friends / acquaintances and are less likely to participate in community events. According to the 2010 US Census Bureau, more people were 65 years of age and older in 2010 than in any other previous census. There were 40.3 million people who were 65 and older, which is an increase of 5.3 million since the 2000 census. The result is more lonely senior citizens. Many people experience loneliness as a result of living alone, lack of close family relationships, and age-related losses. This is only the tip of the iceberg as there are more than just problems that the elderly are facing. People of all age groups suffer from not having a healthy family life. Intentionally or unintentionally, family life has become a very insignificant and negligible factor in the life of many. The religion of Allah is perfect. His messenger was perfect. This religion came to make life easy, yet we advert to propaganda which drives us to believe what is not true; success is money and taking care of our old parents is going to ruin it, hanging out with friends makes us cool but our siblings are boring. If we could just contemplate over the commands of the religion and understand it as it should be, we will be fully convinced, In sha Allah, that it is just what we all want. The reasons for all these problems is a lack of a balanced system and a guideline which educates us to differentiate between the good and the bad. Islam is a religion of fitrah (nature), it serves the follower and helps him/her to attain the best of both worlds. The life of the Prophet Muhammad ﷺ is an example of ‘the’ most ideal life until the end of times. He was perfect at all relationships; a perfect father, a perfect friend, a perfect husband and a perfect family member. Aisha, the wife of the Prophet Muhammad ﷺ, was asked, “What did the Prophet ﷺ used to do in his house?” She replied, “He used to keep himself busy serving his family and when it was the time for prayer he would go for it.” (Al-Bukhari). He ﷺ also said: “The best of you is the one who is best to his own family, and I am the best of you towards my family.” (Sunan At-Tirmidhî, Sunan Ibn Mâjah), “He is not one of us who does not show mercy to our little ones and respect to our elders.” (Sunan At-Tirmidhî). Such was the Messenger of Allah ﷺ. It is so astounding if we reflect on our lives today; we enthusiastically participate in decorating the walls of our homes but fail to pay heed to what actually makes it. We are nice to the world but neglect the ones who make ours. It’s time we love what is real. 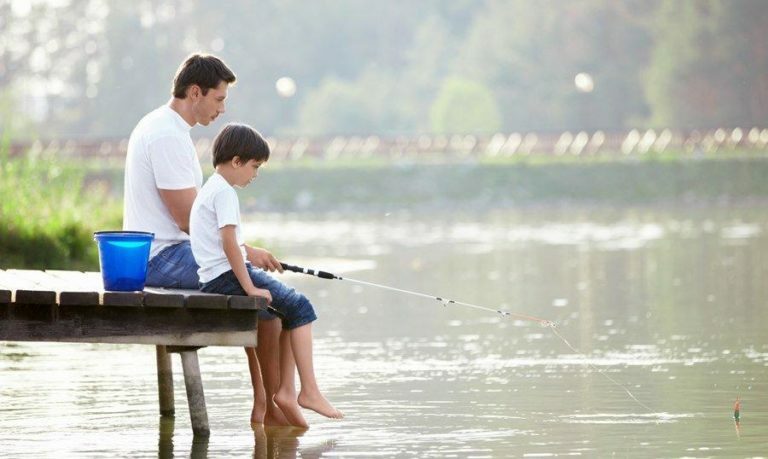 Plan with your partner on how to make the family time quality filled. This also serves the relationship between both of you. Home is a place of tranquility and that is what we all want during holidays. Bring in some innovative ideas to spend holidays with kids at home. Make them feel like home is the best place! Call for a meeting; call the kids, regardless of their age and ask them what they would want to do at home during weekends or holidays. Don’t laugh or make fun of their opinions, but respect them and make them feel heard. Conduct different competitions at home, get involved thoroughly and they’ll love it. With all the other activities, do not neglect to connect with the deen. Children listen with their eyes. Be the person you want your children to be. When your children grow up, they will only remember what you did, In sha Allah. Because if He ﷻ wishes good, nothing will ever go wrong. Lastly, remember that this is an act of worship; there is reward every time you put in effort. And do so with the intention not only to attain a happy home in this world, but also mainly the eternal home, Jannah In sha Allah. Next PostWhat Is Not Beauty In You?